It's time for a party in Puerto Rico! Gather your guests together and have a good time. 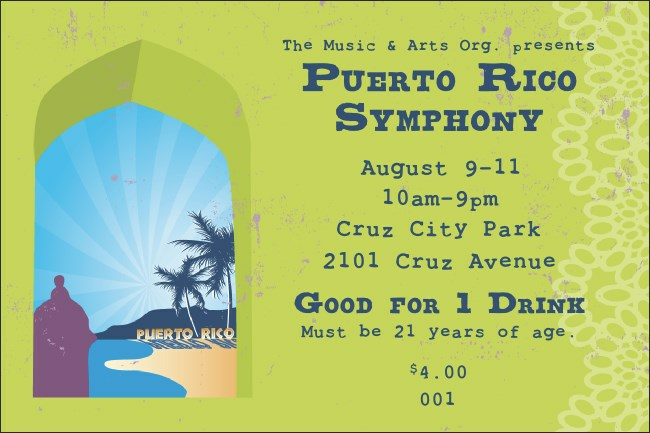 Save your guests time in line and make things easy for your waitstaff when you choose the Puerto Rico drink ticket. Printed in color with images of Old San Juan this individually numbered ticket is the right choice. Keep the party going with a Matching Event Kit from TicketPrinting.com.